I finished reading the second volume some time ago but I got extremely lazy and then night shift happened and my time to write blog post suddenly disappear. Now the night shift is over (not totally as I’m writing this) and that I have a bit more time to put on my blog, I thought that I could give you my impression on this second volume of Fruits Basket another, sequel of the beloved shojo Fruits Basket. You can read my first impression on the series here. The one thing I love with this series is discovering the new characters while trying to figure which Sohma are their parent, it makes me smile to meet the kids of characters that I loved. Of course to truly enjoy this sequel, you need to have read the manga and not only watch the anime series produced by Studio Deen. I love element of the original series is included in the sequel, like the mention of the curse (“Seriously, I’m not a cat. Even if you hug me I will not transform” ) or the famous bear episode at the summer mansion. In the first volume we met, Mutsuki (Yuki and Matchi’s son), Hajime (Kyo and Tohru’s son), the twin Riku and Sora (Haru and Rin childs) and Kinu (Hattori and Mayuko’s daughter) We also meet some character outside the Sohma family but still close to the original cast like Michi (Kakeru’s daughter) and Rukiko (Mokoto Minagawa’s daughter), we even can see how fine Saki’s little brother, Megumi, grew up, he become a really handsome teacher (he is Sawa homeroom teacher). 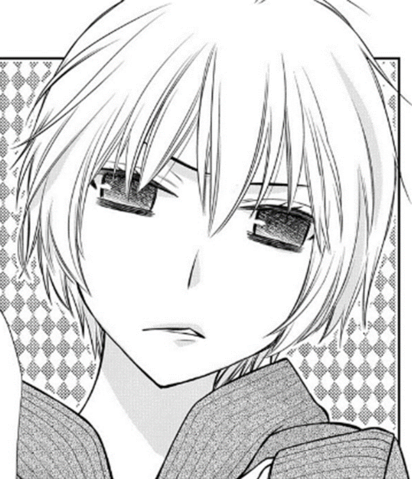 In the second volume the Sohma parade continue as the story goes on. Sawa is now part of the student council and do her best to help, she even makes friend and eat with them during lunch time. She seems okay even if there is a constant reminder of her mother is with her. If I hate Ren, Akito’s mother, in the original series, I hate Sawa’s mom on this sequel. The thing she says to her daughter are just awful and are the reason why Sawa feel so insecure and was always looking down on the floor she think that if she doesn’t see anyone, no one will sees her and everything will be fine, but we doesn’t have any indication on why her mom is like that, we don’t even have her mom name yet. 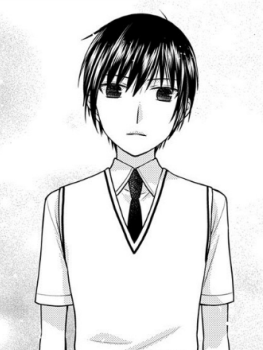 The first new character to be introduced in the second volume is Shiki and just by his look we can tell that he is Akito and Shigure’s son, he look so much like his mother and he seem as weak as she is/was. Sawa meet him on her way to do some errands and somehow end-up with him to Kinu’s (and Mustuki, Hajime) house cause that’s where he was trying to go until he feel too tired to walk due to the hot weather (really like his mom) At first this encounter doesn’t seemed to mean much, even if Shiki tell Sawa that she is reminding him of someone, but as the chapter end, I had a feeling that Shiki already new Sawa, in fact I have the feeling they all know her. The last page of the chapter introduce a new character who seem really bored by life. 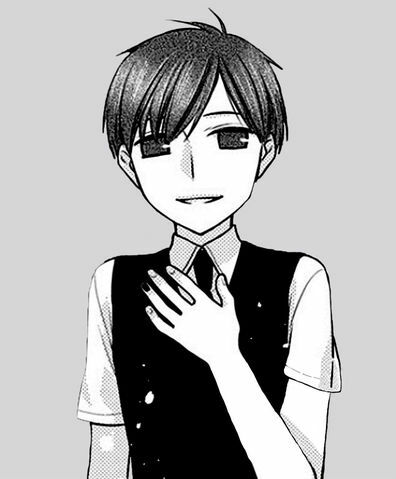 In the other chapter, Mutsuki propose to Sawa to work to his uncle’s boutique, they are short-handed and Sawa looking for a part-time job, everyone seem to know Mutsuki uncle, Ayame, which is quite hilarious if you ask me, he seem to be as extra as he was in the original series. This lead us to met three new characters, Chizuru and Hibika who are Ayame and Mei (the girl who was always dressed as a maid in the original series) kids and Rio who is Saki’s son. Shiki, Rio and Chizuru are friend and all goes to the same school. Chizuru is the really bored one and he doesn’t seemed to fit in the family since Hibika is was fabulous and extra as their parent she really is the female version of Ayama and she love to dress people as much as her mother, fantastic poor Sawa. The last Sohma character to be introduced in the second volume is Mina Sohma who is Momji’s daughter, she is so adorable and outgoing. She seems really happy to meet Sawa who was dragged to Kinu’s house by Sora. Sawa pass a lot of time to that house and house that become like a sanctuary (like it was for Tohru) for her since she doesn’t like to be at her home, where she pass most of her time fighting with her mom when the latter is there. After meeting Mina, Sora and the young girl take (kidnap) Sawa to a batting practice. There she receive call from her mom and we could sense from the message let by her on Sawa’s voicemail that their relation just get worse, to the point where Sawa think she would be better without her (and I don’t blame her). The chapter end on Sawa being invited to the Sohma summer mansion, a Shiki being flustered when he learn that she might come and a Chizuru really amused by the situation. The volume end on a flashback of Mustuki from when he learn about the malediction that hit the family. There much thing going on in the volume regarding the character and you can feel the dynamic is really different from the first series. While Akito was feared by the cursed, her son Shiki is loved by everyone except his grandmother Ren. I told you that I hate her, like really hate her to the point I wish her a painful death. There is a panel showing Akito protecting Shiki’s from Ren and we see drop of blood from Akito’s face. I still don’t know what is going on and why I have the feeling why Shiki and Sawa are somehow linked. I feel like they already met, but Sawa probably forgot, like she forgot losing her student pass when she collided with Hajime’s little brother. 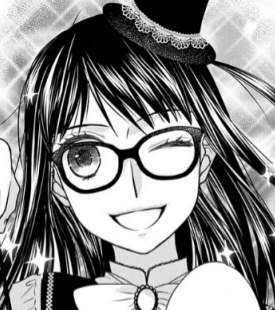 I hope the next volume come out soon, I’m really curious about what will happen next even if I’m a little bit worried about the fact the third volume will be the last one of the series. I hope we will get a proper end. Not on the same level as the original manga ending, but at least a little bit more information about why I feel like the Sohma knows Sawa. I like Sawa, but three volumes is way too short to know get to know everyone as anything but clones of their parents. It is true they are similar to their parent, except for Shiki, he have is mom weak constitution, but he is so much gentle. Seeing him like this make me wish Ren wasn’t around Akito when she grew up.